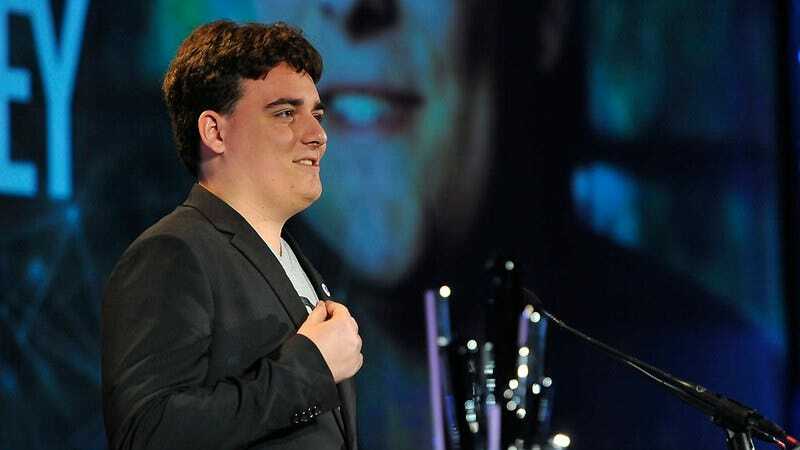 When he isn’t researching the creation of a “virtual border wall” between America and Mexico or showing up in Japan cosplaying as a half-naked sniper from Metal Gear Solid V, former Oculus CEO and virtual reality poster boy Palmer Luckey is apparently having fun by putting money into a program that screws with the company that ousted him after he admitted (then denied) funding an anti-Hillary Clinton meme campaign. According to the creator of Revive—a tool that lets people use the HTC Vive VR headset to play games that are only available as exclusives for the Oculus Rift—Palmer is pledging $2,000 a month to the software’s Patreon campaign. Programmer Jules Blok started up his Revive project shortly after Oculus launched its hardware and store, which walled off certain games from play on other VR platforms. The workaround only lasted a month before Oculus shut it down, but the company later reversed the decision and allowed Revive to continue after outcry from VR enthusiasts. In the past, Luckey himself has said, “If customers buy a game from us, I don’t care if they mod it to run on whatever they want.” Now that he’s finally free from the Facebook-owned Oculus, you can bet he cares even less.